Our next Parents Night Out (Friday Night Fun) is April 26 at 7:00 PM. You can sign up for classes anytime. We offer organized, structured classes in a healthy and fun atmosphere. You can sign up for a class any time. 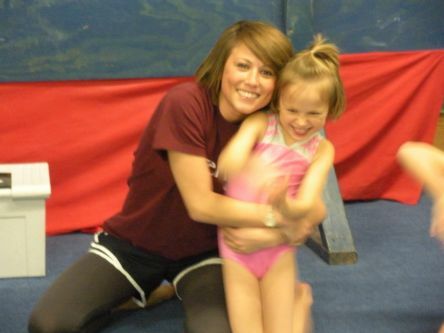 Come join the Brazos Valley Gymnastics "family". Our gym is located on Hwy 30 -- 1/2 mile east of Bird Pond Rd. on the left, or 2 miles west of W D Fitch Pkwy (Texas 40) on the right. The gym is fully air-conditioned. You can download and print the registration/release form from our website (under "Forms"). Fill it out at home (please sign it) and bring it to the gym to get registered. The registration fee is $24.00 for the first child and $16.00 for the second child of each family. There is no registration fee for a third or fourth sibling. It is good until September 2019. There is a 10% discount off the tuition for any siblings. Tuition rates are listed on our website. USA Gymnastics, NCA (cheer), UCA (cheer), Texas USA Gymnastics and the Gymnastics Association of Texas and are Aggie owned and operated. "In every real man, a child is hidden that wants to play." Give us a call, and let us know if you would like to come and try a class. Evie Nolan is the gymnast of the month for July. Emily Humes is the gymnast of the month for June. Naomi Doehr-Garcia is the gymnast of the month for May. Karter Cyprien is the gymnast of the month for April. Mason Soltow & Ben Corrier are both gymnasts of the month for March. Veronica Whiteacre is the gymnast of the month for February. Keaton Hicks is the gymnast of the month for January. 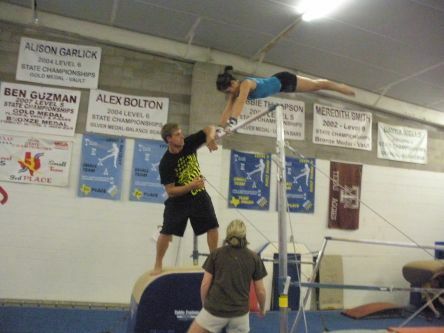 Benny Altner is the gymnast of the month for December. Gracen Harrell is the gymnast of the month for November. Amaris Sanchez is the gymnast of the month for October. Diana Riley is the gymnast of the month for September. Diana is 8 years old and a member of the Silver Team. Anna Eubanks is the gymnast of the month for August. Anna is 8 years old and a member of the Silver Team. LeeAnn Matejka and Maria Matejka are both gymnasts of the month for July. Maria is 7 years old and a member of the Emerald Team. LeeAnn is 10 years old and a member of the Emerald Team. Zachary Leopold is the gymnast of the month for June. Zack is 11 years old and a member of the Gold Team. Look under general news & info to find out past gymnast of the month recipients. 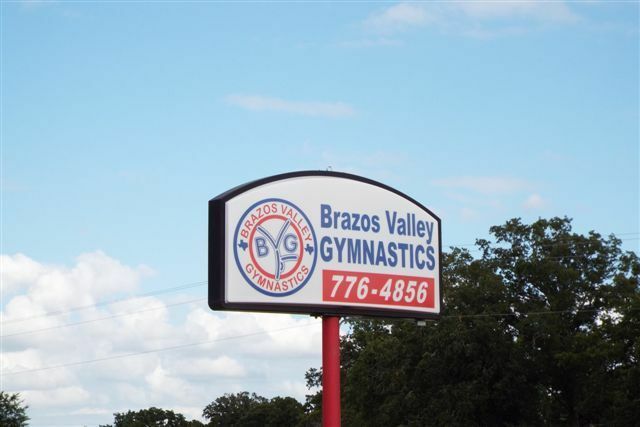 Check out the current Tumbler newsletter to get the latest Brazos Valley Gymnastics news and information.